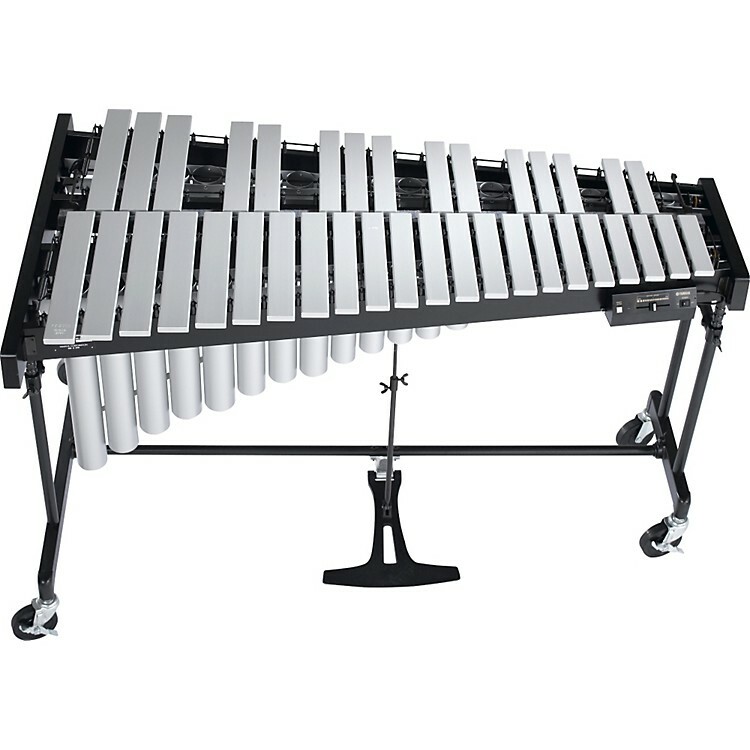 For a mellow, focused sound, the YV-2700 Studio vibraphone uses matte finish aluminum alloy bars. Features graduated silver bars. Comes complete with drop cover.